The President greets the cast and crew of &#39;Hamilton&#39; after seeing the play with his daughters at the Richard Rodgers Theatre in New York City. 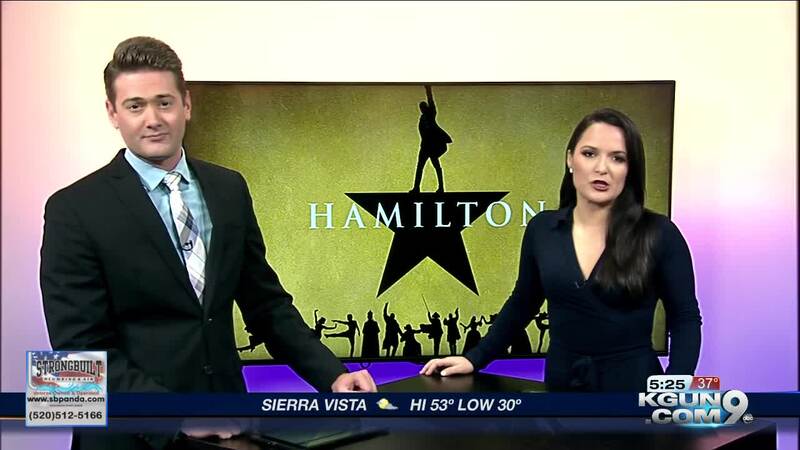 If you heard the rumor about "Hamilton," coming to Tucson's Broadway, you're in luck. The award winning show will be here, (Tucson's Broadway confirmed) but not until 2021. If you're thinking about how you're going to get tickets, even now, here's some advice: make sure you have a season pass. If you have a season pass, you'll get high priority for those in-demand seats. First priority, however, is rewarded to loyal show-goers, who are renewing subscribers. If you're already subscribed, just make sure you don't forget to renew your subscription for the 2020-2021 season. While we know you're bummed you won't see Hamilton this year, what can you see instead? Diane Wilcox, manager at Tucson Broadway, told KGUN9 that this season's line-up is something special. To give you an idea, here's the performances scheduled for this upcoming season, in order: "Hello Dolly! "(October), "Anastasia" (November), "Jesus Christ Superstar" (December), The Play that Went Wrong (January), "A Bronx Tale"-musical version (March), and the award winning show, "Come From Away." To request a season brochure for this season, go here. Brochures will mail out in two weeks time from today, February 10.